XP Jets has posted several previews from the upcoming Boeing 777-200ER for X-Plane in AAL colours. 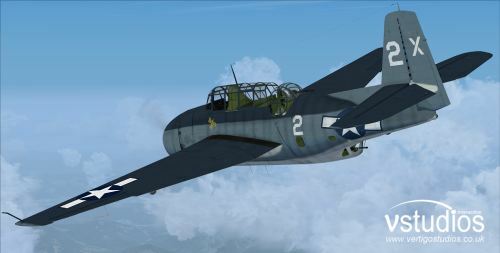 VertigoStudios has released the long-awaited Grumman TBF Avenger for FSX. Purchase at the PC SimStore. Turbine Sound Studios (TSS) has posted a preview video from the Boeing 767 GE HD Sound Package for FS2004. 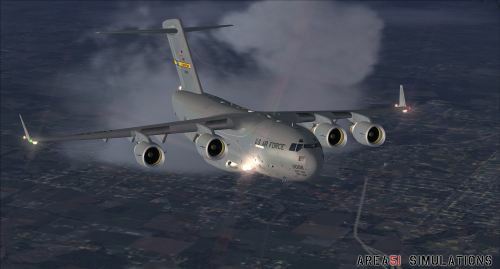 Area 51 Simulations has released the long-awaited Boeing C-17 Globemaster III for FSX and FS2004. Sim Skunk Works has released the donation-ware Lockheed F-104S Starfighter Version 3 for FSX. McPhat Studios has posted an image of the Korean Air (KAL) PMDG 747-400 HDT textures for FSX. Dino Cattaneo has released the freeware McDonnell Douglas T-45 Goshawk version 2 for FSX. Orbx is performing final test flights at the upcoming Diamond Point Airport (2WA1) and Olympic Field (WA45) for FSX. FSDreamTeam has posted more preview pictures from Kona Intl. Airport (PHKO) for FSX and FS2004. Aerosoft is holding a photo challenge for flight simulator users. Details in the Aerosoft Forums. "Find a real aviation image, then replicate that with standard sim (X-Plane, FSX. 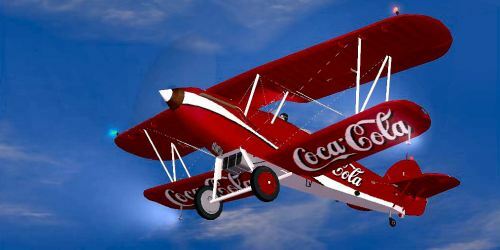 FS2004) and with the sim + add-ons." X-Plane Flight School has added the lesson X-IFR 4 - NDB Tracking in the X-Plane.org Forums. The english language manual to the AMX Ground-Attack Fighter for X-Plane is now available. Take On Helicopters Community Preview build 82767 is available. Note: Arma 2: Operation Arrowhead is required. Sim Skunk Works has posted a video from the soon to be released Lockheed F-104S Starfighter Version 3 for FSX. 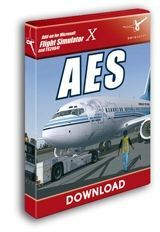 AFS Design has released the EADS Eurofighter Typhoon Professional for FSX and FS2004. 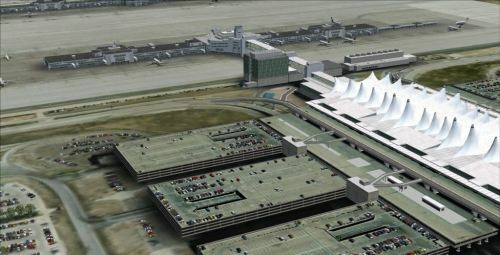 ImagineSim Denver International Airport (KDEN) version 2 is now also available for FSX. Carenado has released the first in-sim screenshots from the upcoming Cessna C337 Skymaster for FSX. Aerosoft has posted the first preview pictures from Mega Airport Dusseldorf (EDDL) for FSX and FS2004. Thomas Lo Gerfo has updated his freeware Palermo Punta Raisi Airport (LICJ) for FSX to version 2. Engine Sound Creations has released the Embraer Regional Jet (ERJ) Series 2011 Soundset for FSX and FS2004. Turbine Sound Studios (TSS) has released the Beechcraft B350 Super King Air HD Sound Package for FSX and FS2004. Carenado has released a cumulative service pack to the Cessna CT210M Centurion II for FSX. - Reality XP GNS530 and Reality XP GNS430 configuration now is working as it should. The file RXP530-RXP430.exe was replaced. - Cowl flap animation reversed. Now it is closed in the lower position and open in the upper position, as it is in the real aircraft. 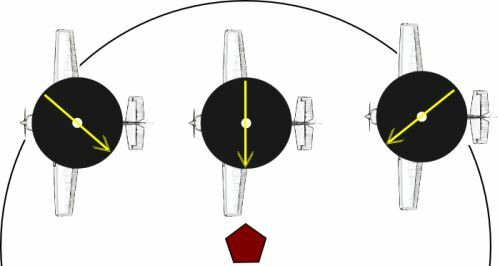 - Triangle position on VOR2 when showing FR (FROM) was inverted. - Holes in the floor near pedals were fixed. AVSIM’s publisher, Tom Allensworth, made the following announcement tonight; “It is with regret that the AVSIM staff and I are forced to announce tonight the cancellation of the 2011 FANCON. The current number of registrations and the number of vendors committing to attend are disappointingly few. We are compelled to cancel now in order to keep from accruing larger penalty fees than we will pay if we cancel now." 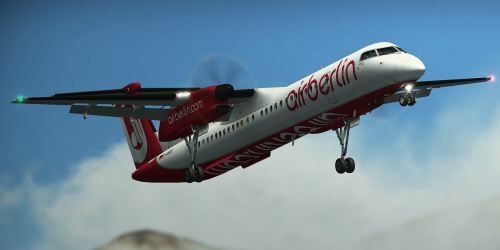 Aerosoft has posted the first preview pictures from German Airfields 11 Südbayern for FSX. Aerosoft is discounting all scenery products covering France, Luxembourg and Monaco by 20%. This discount is available between Thursday June 14th 00:00 and Monday 18th 24:00 Zulu time. 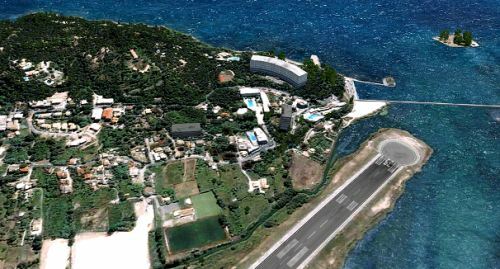 Angelo Tassoglou has released his freeware Kavala/Island of Thasos photo scenery for FSX. Download at AVSIM. McPhat Studios has posted the first pictures from the PMDG 747-400 High Definition Textures (HDT). Turbine Sound Studios (TSS) has posted promo videos from the Beechcraft B350 Super King Air Sound Package. - APX ammendments to cater for Static Airliners. - Removed generic building inside fixed pond. - Maintenance Workshops (in front of RFDS hangers) reworked from scratch. - Peopleflow & other clutter updated. - New static aircraft: R22's, Jetrangers and R44's added to reflect fleet changes since 2008. - Brand new re-worked LM's for all buildings. - 2008-vintage low-poly car libraries in aux areas (industrial & shopping areas) replaced by more efficient (and far better) low-poly models from Russ' libraries. UVW mapping issues on hanger side walls at RACWA and Hawker Pacific resolved. - Material settings issues (transparency/alpha deficiencies, ground shadow properties, LM settings etc) reworked. - Ground shadows added to R22 and Nanchang Models. - Incorrect LM call fixed on generic hanger opposite Heliwest. - Errant AGN tree placement on final approach clearings and roads. - Holger's sloped flattens for "the hill" no longer excluded by APX files. - All buildings models now TextureFlow compliant. - Optimisation of master materials libraries to complement TextureFlow work; more efficient models and no flashing texture-load issues. Belfast City Airport (EGAC) for FS2004 (FSX version may follow) is under development as freeware. New previews from the Majestic Software Dash 8 Q400 for FSX have been posted at the Samdim Website. Eagle Rotorcraft Simulations has announced development of a FSX native version derived from Owen Hewitt's Bell 206. More screenshots have been posted from the upcoming Keflavik Airport (BIKF) for FSX and FS2004. Aerosoft has posted new preview pictures from Anchorage Intl. Airport (PANC) for FSX and FS2004. English manuals for the freeware Mikoyan-Gurevich MiG-21MF from Ivan Jurcaga can be downloaded at AVSIMrus. The freeware Hawker Audax for FSX and FS2004 is now available to download at Flightsim.com. Project Airbus has posted more virtual cockpit preview pictures from the Airbus A380 project for FS2004. Orbx has posted several screenshots from Protection Island, part of the upcoming Diamond Point scenery for FSX. 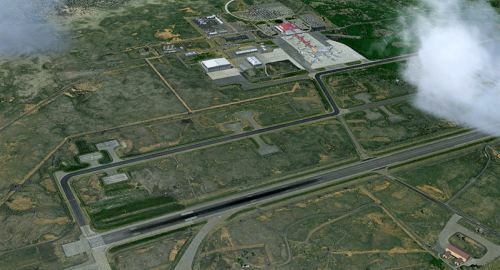 Aerosoft has revealed development of Yekaterinburg Koltsovo Airport (USSS) for FSX and FS2004. Aerosoft has released a promotional video from the Diamond H36 Dimona for FSX.